A temporary closure of a portion of the Crag Crest National Recreation Trail has been issued by the Grand Valley Ranger District of the Grand Mesa, Uncompahgre, and Gunnison National Forests. The closure will be in effect from July 5 th to July 21 st , 2017. 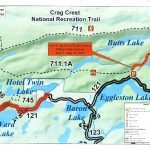 This closure will prohibit public access from the east trailhead at the Crag Crest Campground along the lower loop (NFST 711.1A) to the intersection at Butts Lake. 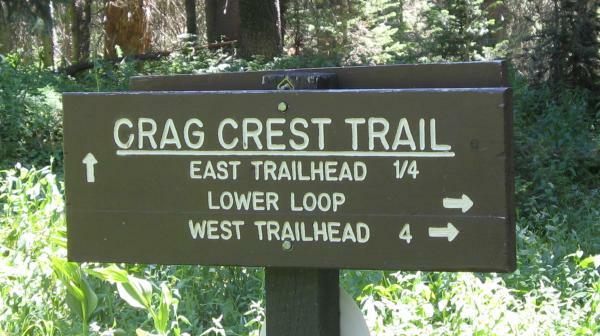 Portions of the Crag Crest trail will still be accessible from the west trailhead. The closure will allow for the installation of temporary roads and a bridge for the Grand Mesa Resort Timber Salvage Sale an estimated two year removal of beetle-effected and blowdown timber. The timber salvage will remove potentially hazardous fuels from an area with many summer cabins, and will improve overall forest health by opening the forest for new growth improving species and age class diversity. After re-opening this portion of the Crag Crest NRT, we encourage the public to mindful of their surroundings while utilizing the trail, and provide a wide-berth to timber crews and machinery. For questions or comments please contact Dylan Peters, Public Affairs Specialist, (970) 874-6625 at the USDA Forest Service.